There's something about a square with deep sides that just works. This iron mirror is like one of those small canvases you see art work or photographs on. A lovely little shape that fits in with other styles and works as a set or series. I've used a range of alternate mediums in this frame from coloured glass to tinted mirror. That way if you hang them as a set, you can mix them through the set with perfect small squares, combining unexpected colours just adds to the look. $50 Freight prices will be confirmed at time of order with at cost quoted. We select fragile freight service for our mirrors. $75 Freight prices will be confirmed at time of order with at cost quoted. We select fragile freight service for our mirrors. $80 Freight prices will be confirmed at time of order with at cost quoted. We select fragile freight service for our mirrors. $99 Freight prices will be confirmed at time of order with at cost quoted. We select fragile freight service for our mirrors. $120 Freight prices will be confirmed at time of order with at cost quoted. We select fragile freight service for our mirrors. Contemporary styles are synonomous with stripped back lines and simple formats. This perfectly proportioned mirror is one of those shapes that looks good in a number of ways. Used alone or in groups, this little 300mm square mirror is one that just works. Whether it is in a contemporary or classic setting, it blends in and looks at home. 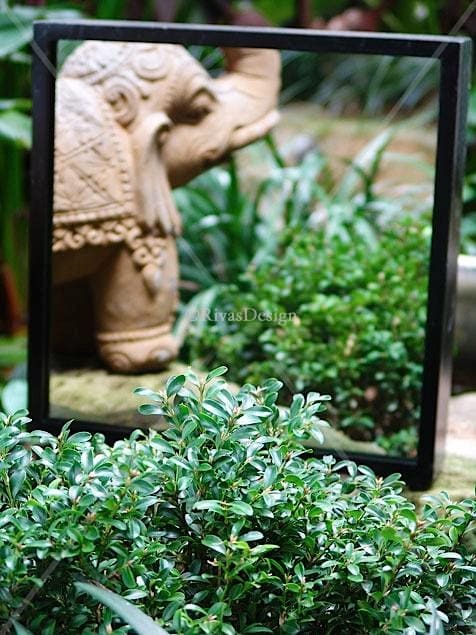 This galvanised mirror is available finished in black or black brushed with copper. Also available finished with tinted mirrors and coloured glass. Larger spaces? 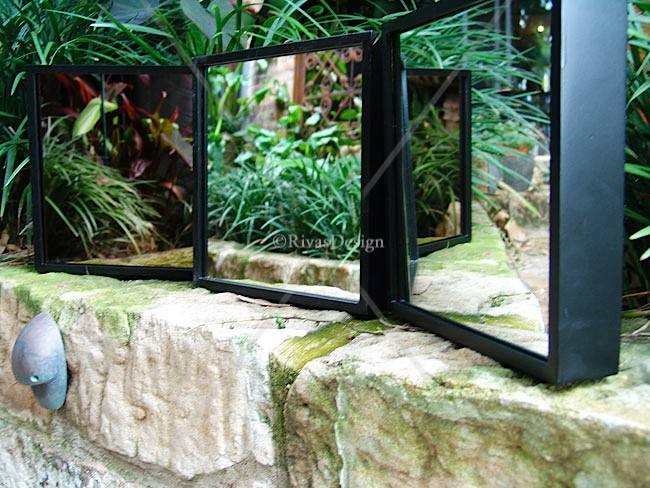 let us custom design to suit or - See our larger versions of these outdoor mirrors.